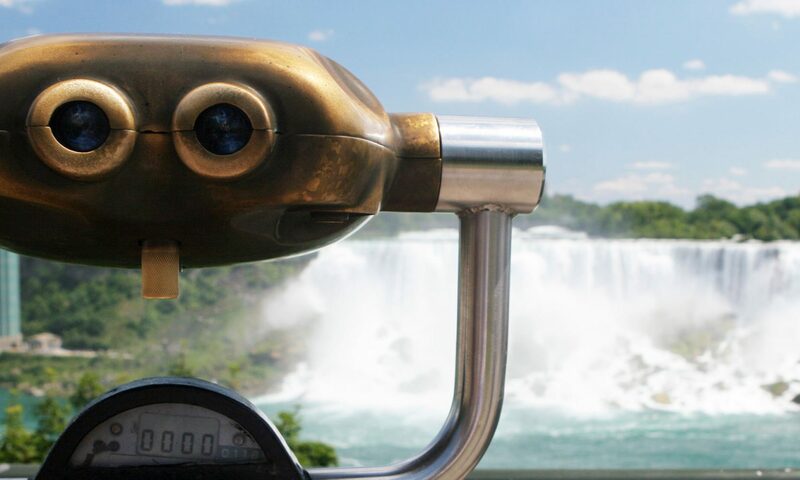 Until 1848, the first village in Niagara Falls did not exist. In 1848, the first Suspension Bridge across the Niagara River Gorge was completed. The bridge was originally built for pedestrians and horse drawn carriages. In 1855, the Suspension Bridge was reconstructed to a two level structure for the passage of trains along the upper level and vehicles and pedestrians along the lower level. Quickly, a settlement grew up around the Suspension Bridge along both sides of the international border. The Canadian settlement was given the name “Elgin” by Samuel Zimmerman in honour of Lord Elgin, the Governor General of Canada who lived in the settlement of Drummondville. In 1848, Samuel Zimmerman bought up a large tract of land in the area of this first suspension bridge. Homes soon sprouted up around the suspension bridge in the Settlement of Elgin. Workers and their families were the first of the settlers. As the settlement grew, so did other developments such as stores, hotels, a post office, a bank and a water works. Soon more people settled. In 1853, the settlement of Elgin became an incorporated village. Within two tears, the Village of Elgin had grown to include fifteen grocery stores and approximately twenty saloons and hotels. The Village of Elgin development was primarily attributed to Samuel Zimmerman, Phillip Bender and Harmanus Crysler. In 1856, the boundaries of the Village of Elgin were expanded to include the area of the Table Rock. In view of this expansion and its subsequent increase in population, the Village of Elgin was now had enough citizens to become a town rather than a village. Because the name Elgin had been previously used, the name of the newly formed town was changed to the Town of Clifton. On June 19th 1856, the Village of Elgin amalgamated with the Village of Clifton to become known as the Town of Clifton.